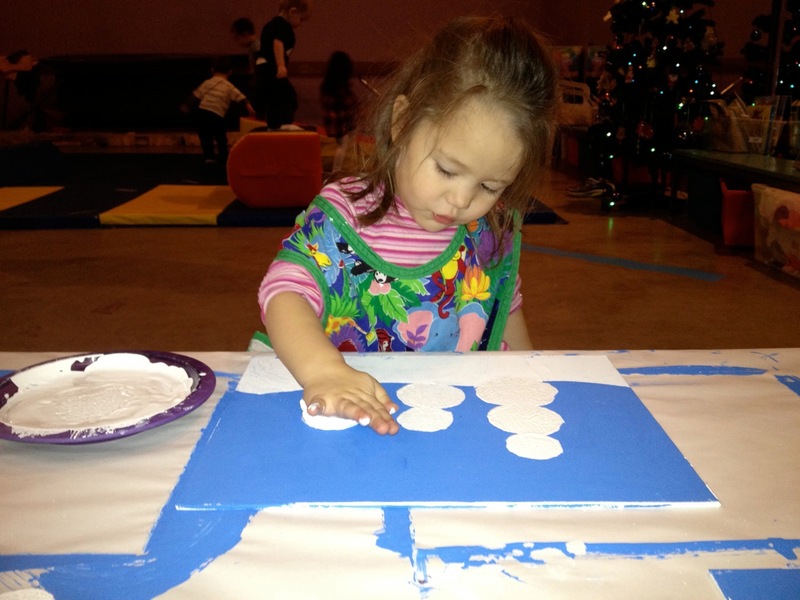 More Christmas Fun at Daycare! 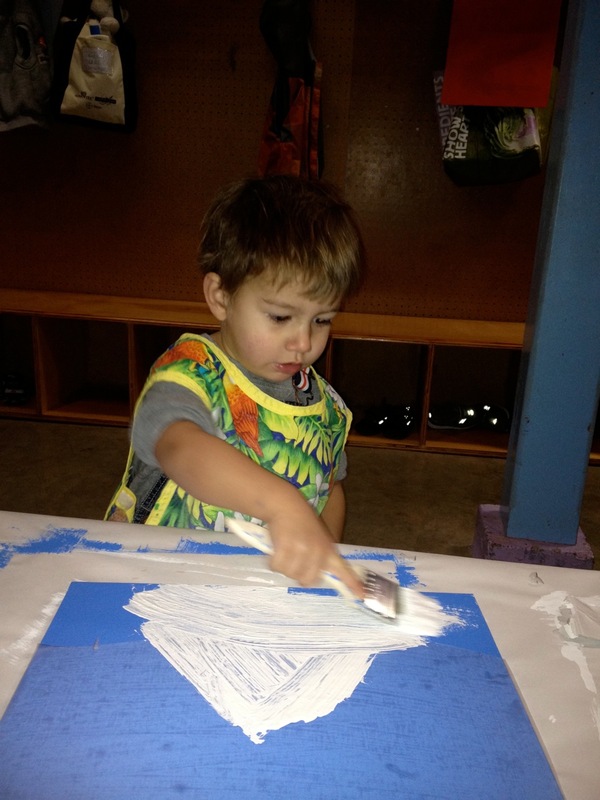 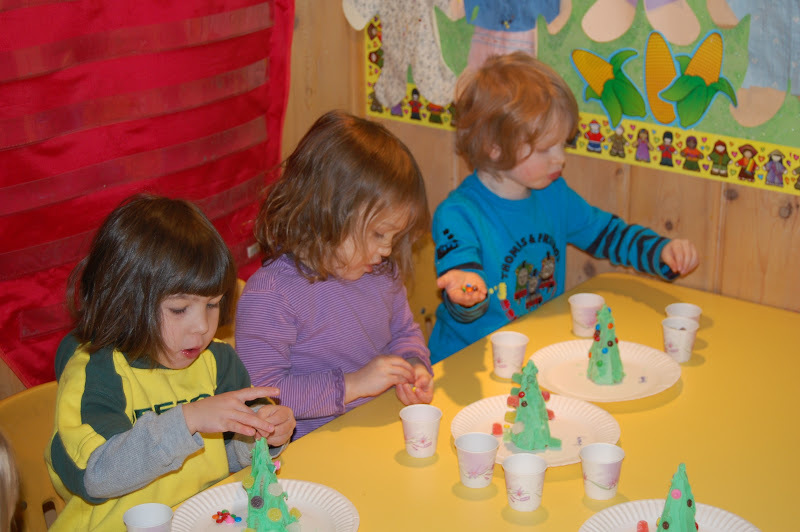 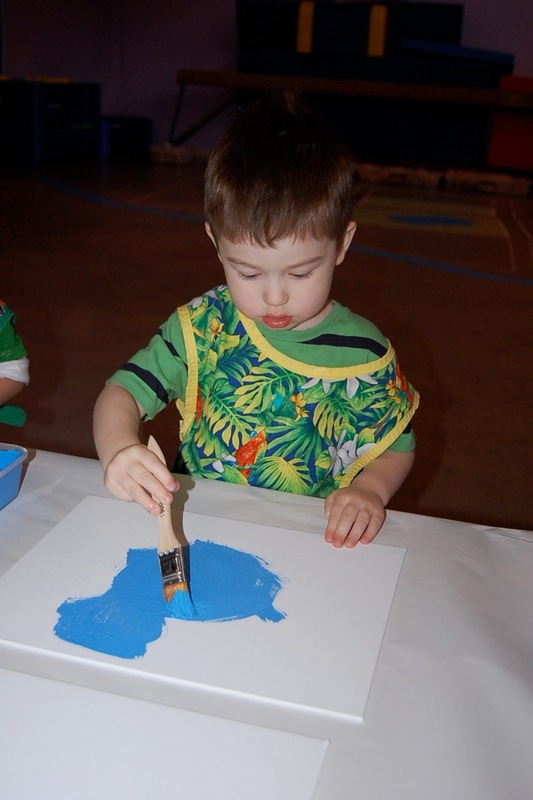 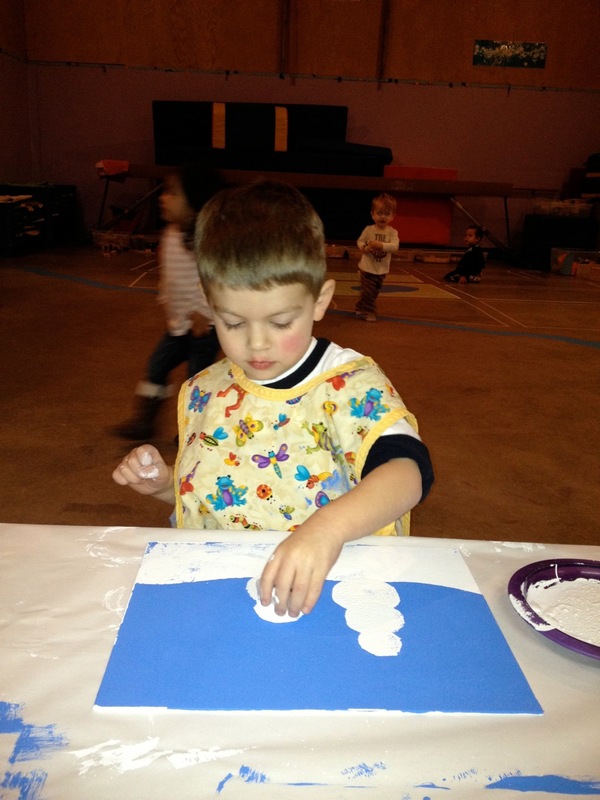 Last Friday the preschoolers had a great time making Christmas trees. 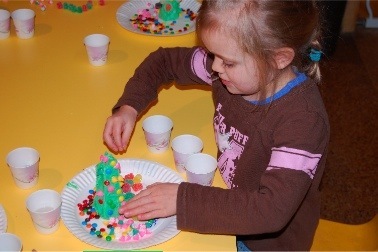 They frosted sugar cones and then attached candy ornaments to their trees. 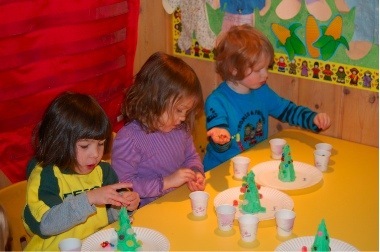 The children at the baby home made handprint Christmas trees. 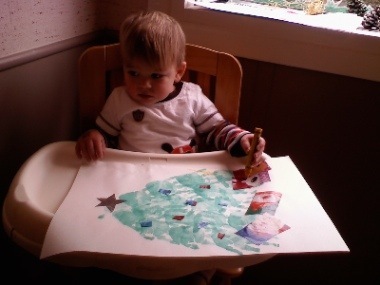 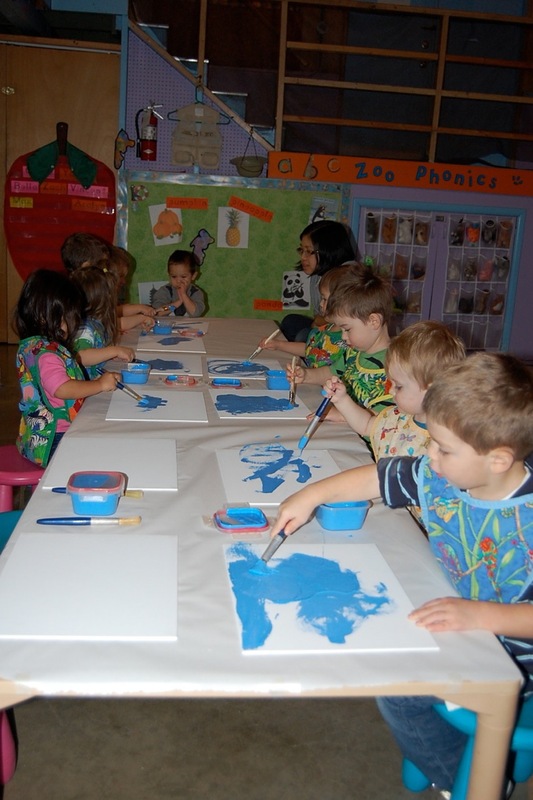 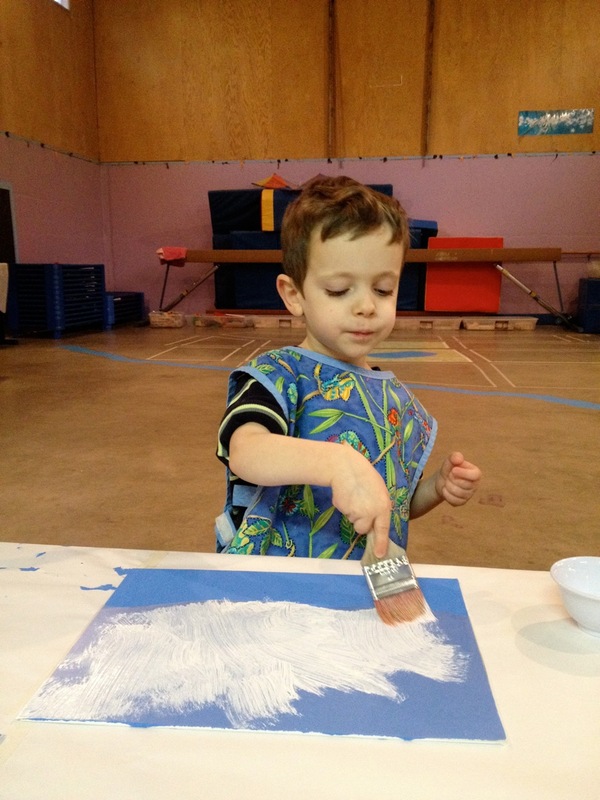 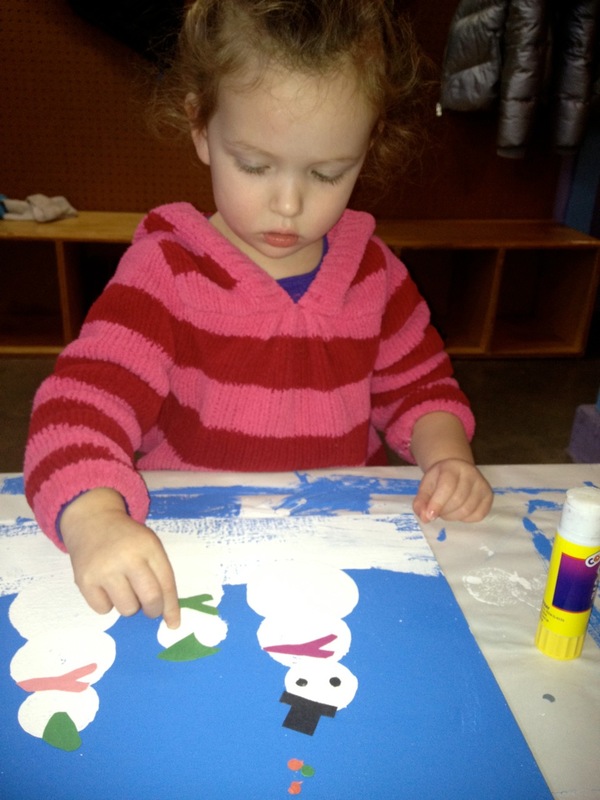 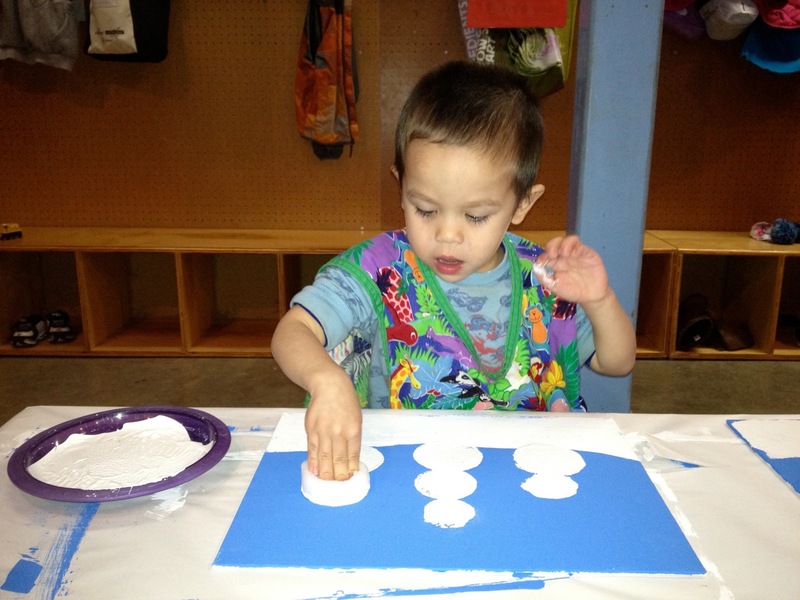 The Christmas preparations continue at daycare and several different projects are in the works. 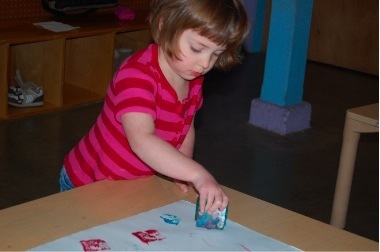 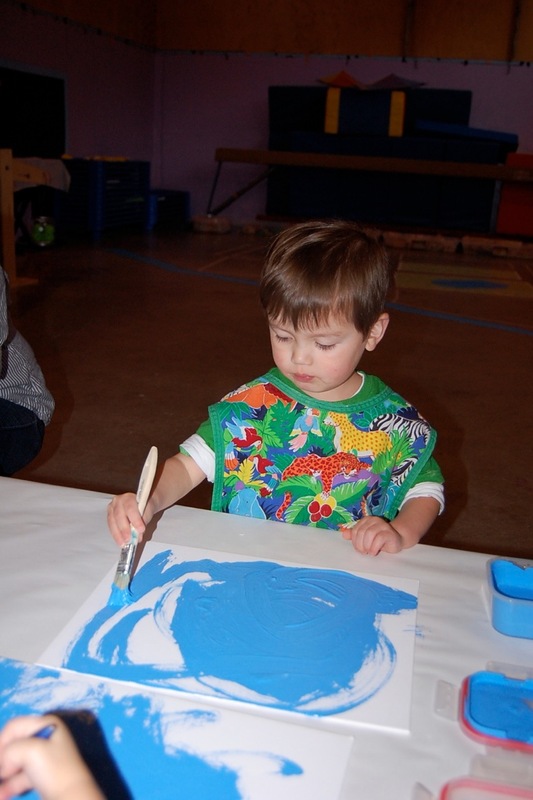 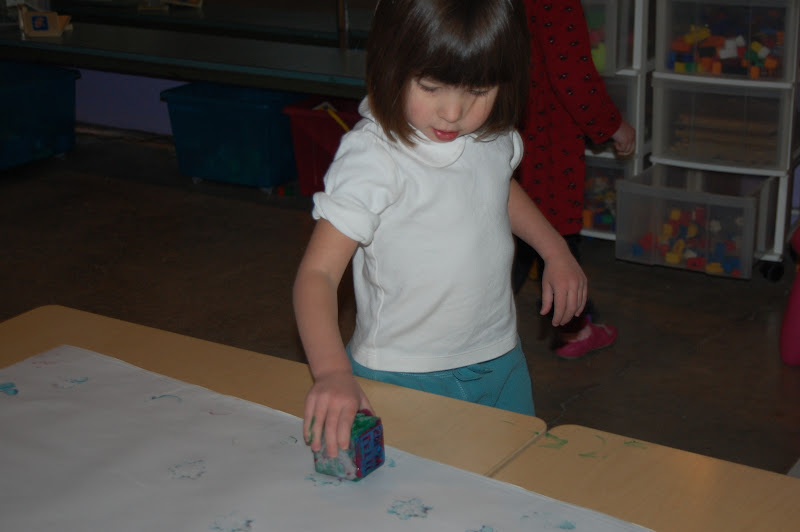 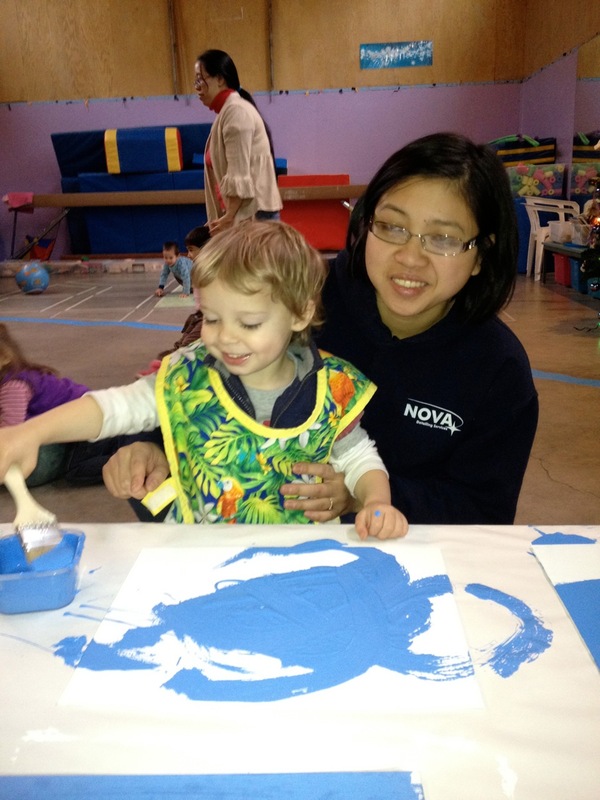 Today the preschool class made beautiful wrapping paper with Amber! The children had fun and were very focused on this activity. 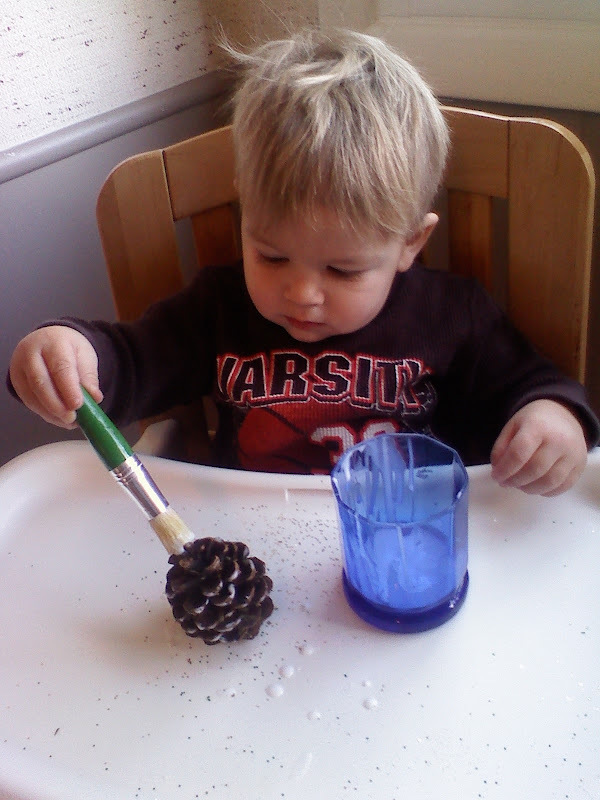 Yesterday the babies enjoyed making pine cone ornaments. 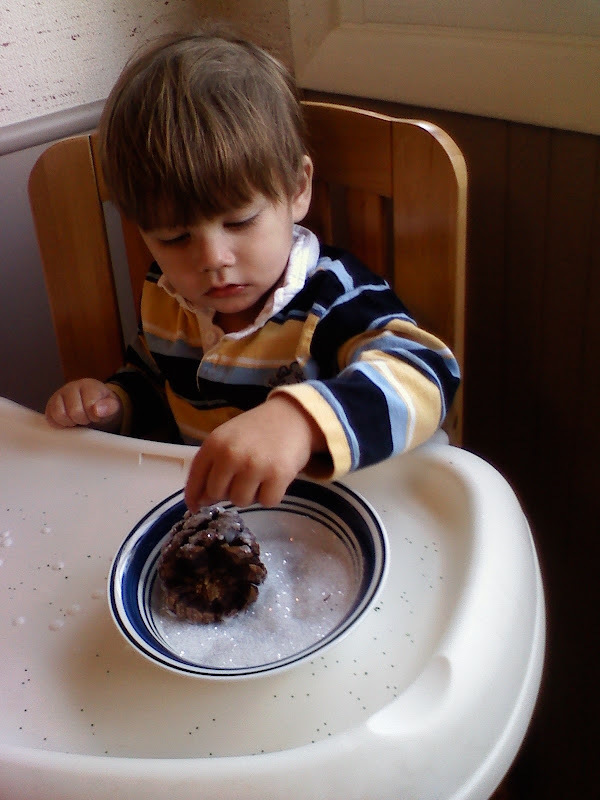 They had a lot of fun painting the pine cones with glue and then rolling them in bowls of beautiful glitter! 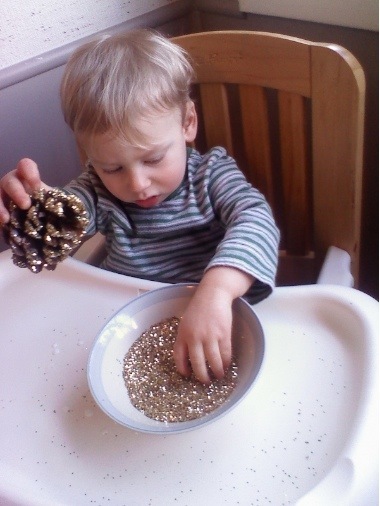 During the last week the children began preparing for Christmas. 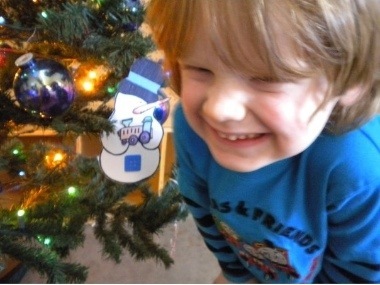 They put up a Christmas tree and then made snowman ornaments with teacher Helen. 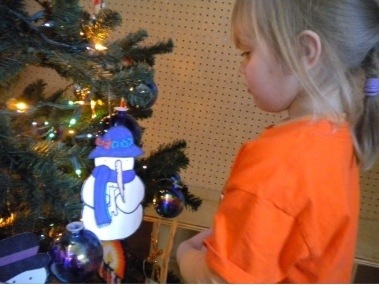 Each child picked and glued an outfit for their snowman. 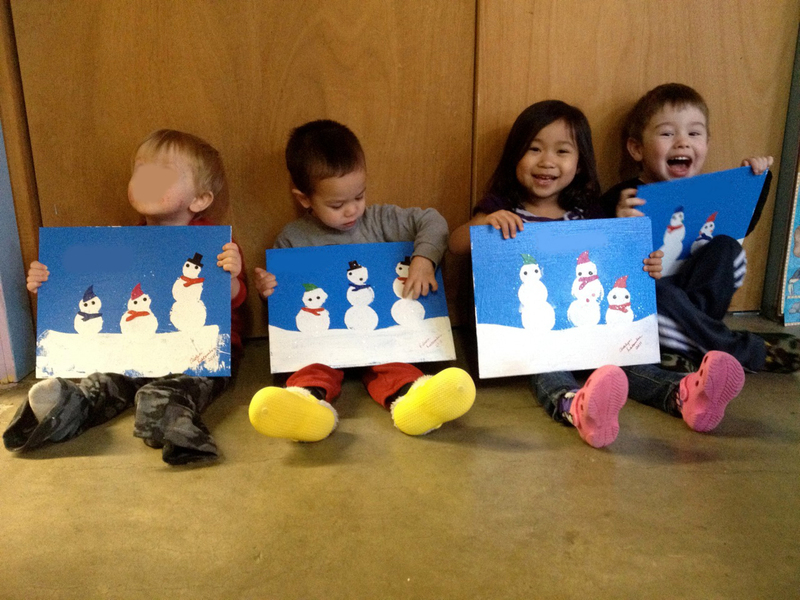 Helen asked them what they want to get as a present for Christmas and fulfilled their wishes by giving their snowman a gift. We put the snowmen up on the preschool Christmas tree and they will take home their ornament during Winter Break. 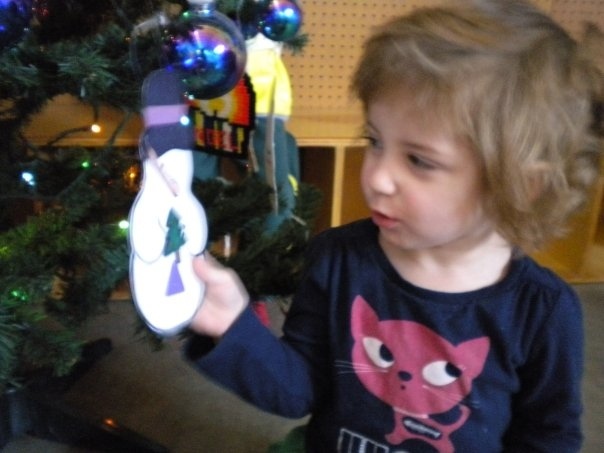 It was fun to find out what the children’s Christmas wishes are. 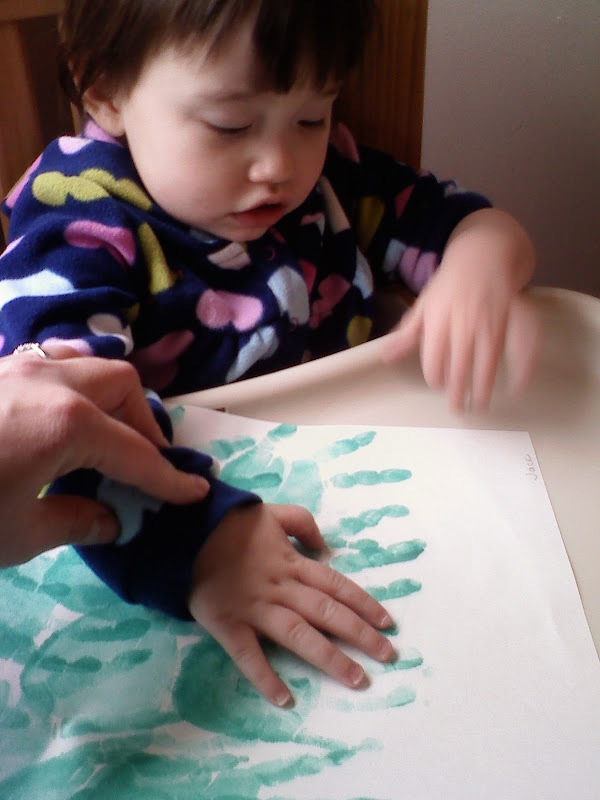 Lucy wanted to help Helen. 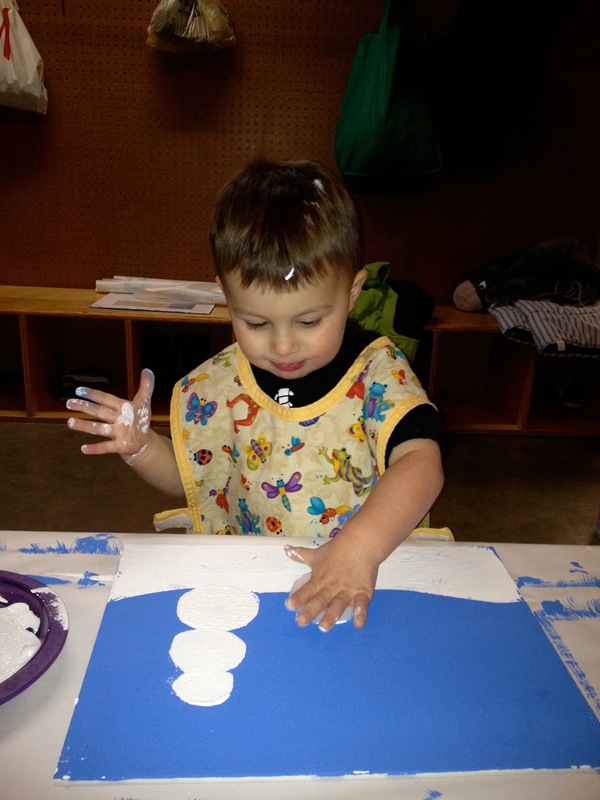 Leo would like a lion and Hugh wants a choo choo train to share with Roland. 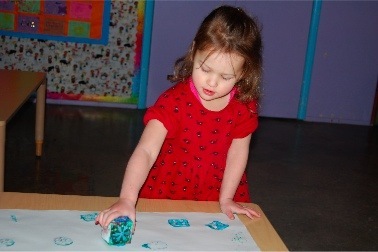 Kaylee asked for toys and Kendra desires a ladybug. Josie just wants Christmas!